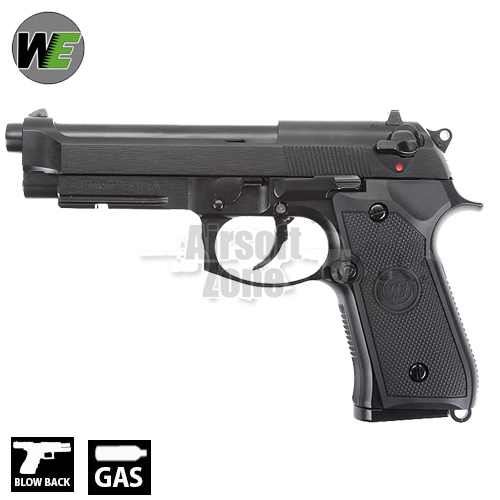 At last a correctly functioning airsoft version of M9. 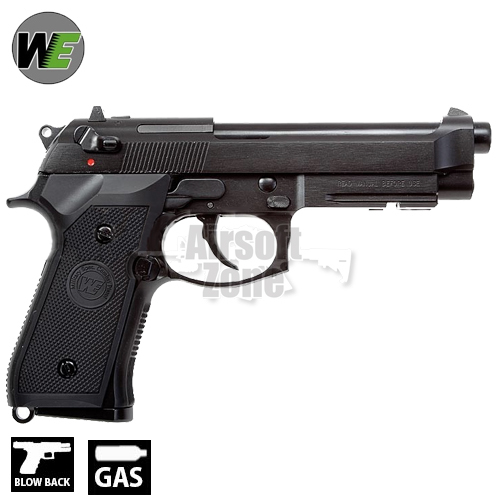 WE have done a remarkable job with this pistol, making it very realistic. Obviously full metal with a very solid feel. Now with adjustable HOP and a working de-cocker as per the real one. These pistols are available as an M9A1 (with rail) and M9/92F (without rail). Either would make an excellent airsoft side arm due to its good size magazine and easy of finding a suitable holster.